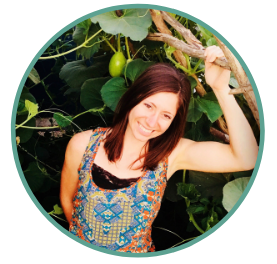 I am taking you on a personal tour of my own chicken coop and I am spilling the beans on some of my own chicken coop hacks including solar lighting, temporary brooder boxes, DIY pallet wood nesting boxes and more! 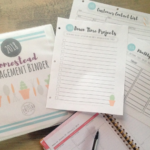 I was so inspired by the amazing chicken coop hacks I shared in this post that I had to share some more! 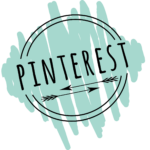 So, today, I am taking you on a personal tour of my own chicken coop and I am spilling the beans on some of my own chicken coop hacks… including solar lighting, temporary brooder boxes, DIY pallet wood nesting boxes and more! The first thing that you might notice about our chicken coop is that it doesn’t look very “chicken coop-ish”. That’s because it’s not a chicken coop at all! It’s actually a children’s playhouse kit from The Little Cottage Company! 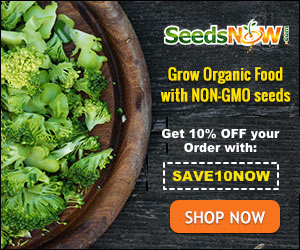 The supplies are delivered to your home partially assembled. You just put all the walls and roof together and screw it into place. It was easy to put together (other than one of the walls being mislabeled) and anyone who is mildly-handy can handle this project. Easy peasy! We used shingles from Habitat for Humanity ReStore (we love that place!) and salvaged composite decking material for the flooring (more about that later!). While using a kit may have been pricier than building our own coop, this was a good option for us. 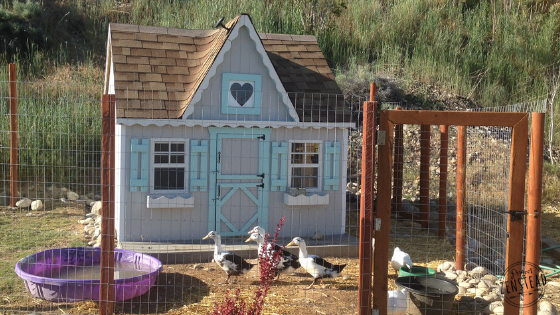 It allowed us to get a super cute coop in a portion of the time it would have taken to build one from scratch. 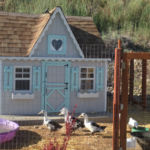 This model of playhouse has some features that make it very functional as a coop! 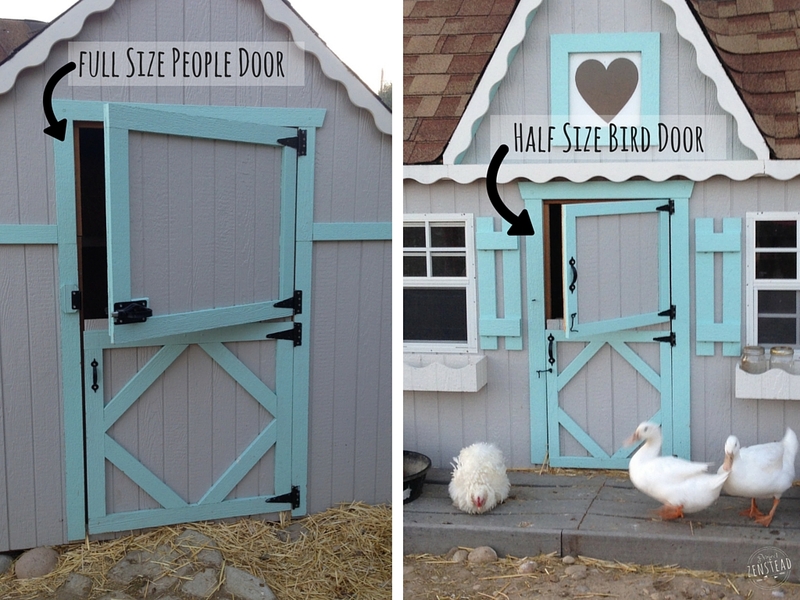 It has two doors: a full-sized “people door” on the side of the coop and a smaller “bird door” on the front of the coop. Both are barn-style doors, which allow us to open just the top half, just the bottom half, or both. It’s fantastic for ventilation! In the winter, we open just the bottom half of the small “bird door” to allow the birds to come and go without making the coop too drafty. 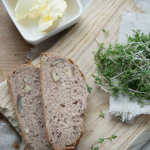 In the summer, we open all the doors to allow extra ventilation and cross breezes. The two small windows can also be opened and are screened. 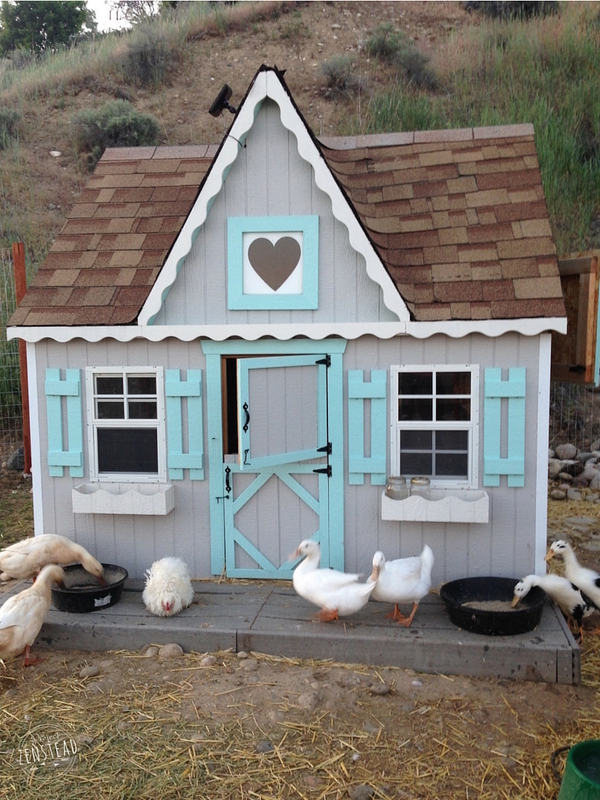 Since our chicken coop was a pre-manufactured kit, we customized and outfitted the interior to fit our needs. 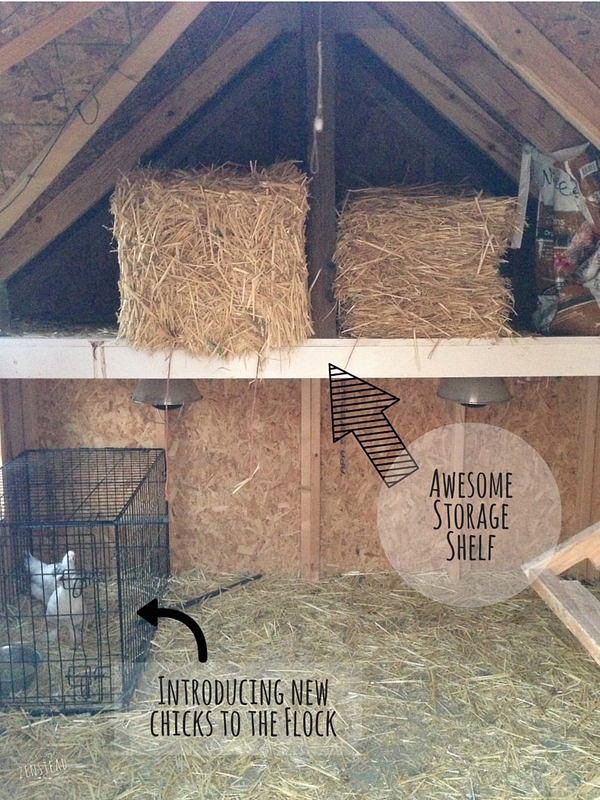 One of my favorite customizations is the lofted shelf that we built inside the coop. Our coop is tall enough to allow us to easily stand while inside so there was enough vertical space to allow for a loft. The loft spans just under half of the coop. It fits two straw bales along with some other supplies. The extra storage has been a life-saver and has allowed us to use what would have otherwise been wasted vertical space. We installed a solar light that we bought on Amazon for about $30. 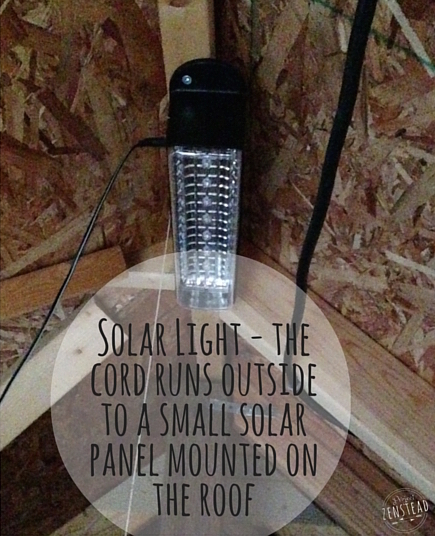 It was easy to install and we don’t have to worry about running cords or electricity to the coop for lighting purposes. It’s not super bright, but it gets the job done! It’s a nice break from having to wear headlamps or tote flashlights out to the coop! 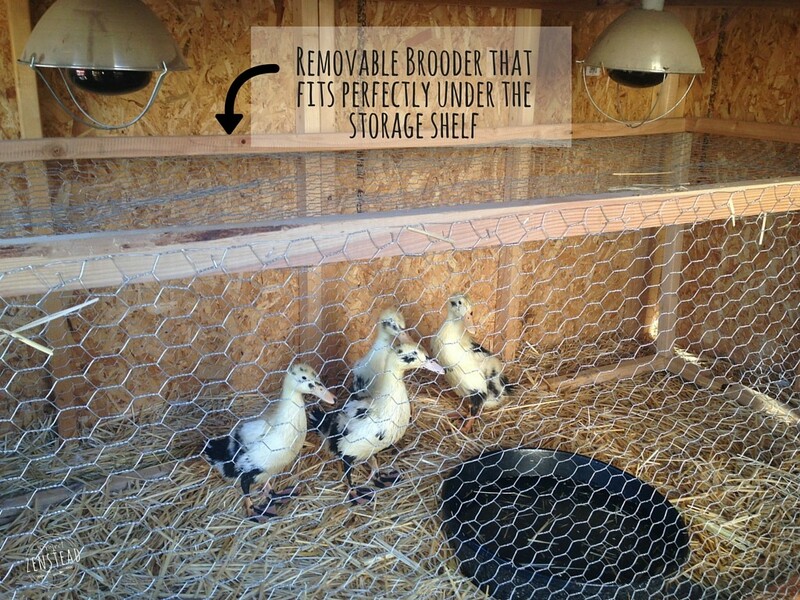 This spring, we made a removable brooder box that we can slide directly into the coop under the lofted shelf. We made a simple frame out of 1×1’s, stretched chicken wire over the frame, and secured it with a staple gun. It’s amazing to have the baby birds outside in the coop instead of in my office! It has also allowed for an extremely easy transition period, as our adult birds were already used to living with the younger birds. Once the ducklings and chicks were old enough, we simply removed the brooder and stored it away until we need it again next Spring. So easy! We also installed a heat lamp system for the brooder. 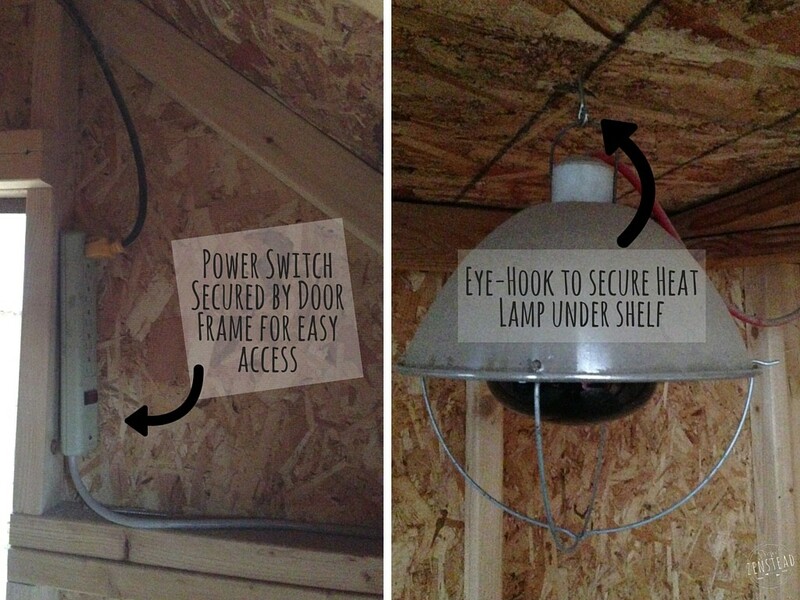 I’m not a fan of heat lamps in the chicken coop. It’s just not worth the risk of a coop fire! The only time we use heat lamps is during very cold weather for our young chicks and ducklings. The heat lamps are installed under the loft, above the brooder. The lights are secured so that they can’t be bumped or knocked down. All power cords have been secured to the wall beams and ceiling rafters of the coop. 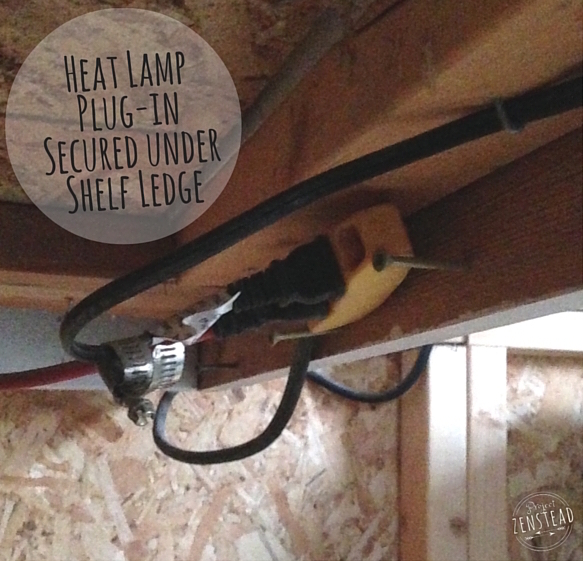 The cords run under the storage shelf ledge to the coop wall and then up to the roof rafters and over to a power strip that is secured to the inside of the door frame. All of the wires are up off the ground, so there is no chance of the birds getting tangled or pecking them. Since things get dusty in a chicken coop, I clean them often. 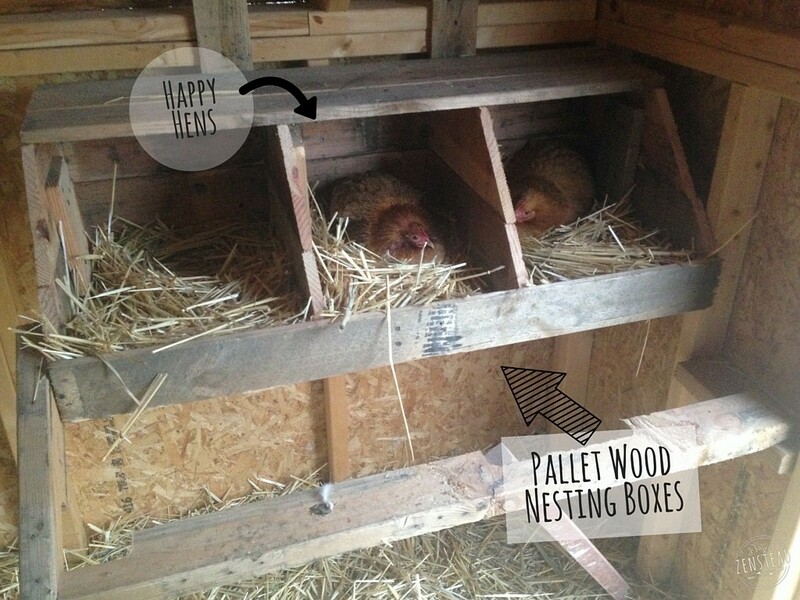 We added some rustic flair with our DIY nesting boxes made out of repurposed pallets. Okay, truthfully, our original intent had nothing to do with adding “rustic flair”. We needed nesting boxes and we happened to have pallet wood on hand. But the nesting boxes did turn out quite well! Best of all, they were free! And the chickens definitely approve of the nesting boxes! 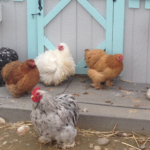 They approve so much that we have a hard time keeping them out of the boxes… Oh the joys of broody hens! We completed the coop with a salvaged composite decking floor. Yes, that’s right, our coop has a composite deck floor. ‘Cause our chicks are fancy. Not really. But we did have a lot of reasons for choosing this flooring. We decided on wood flooring (instead of a dirt or sand floor) for an extra layer of protection from predators who could dig into the coop. However, we knew that wood can be hard to clean and absorbs moisture easily. That’s when we remembered the pile of composite decking pieces we had salvaged from my parent’s patio remodel several years early! I can honestly say, it was the best option we could have made for flooring! We keep the floor covered in straw which we rake out about once a week. The straw goes into the compost pile or is used as mulch in the garden. The floor is super easy to clean because it’s made of composite plastics! You can easily sweep it, rake it, and spray it off with the hose. It won’t become moldy or musty and it won’t wear out over the years. Composite decking can be expensive to buy, but it’s a “forever” flooring option that will never wear out and is easy to clean. 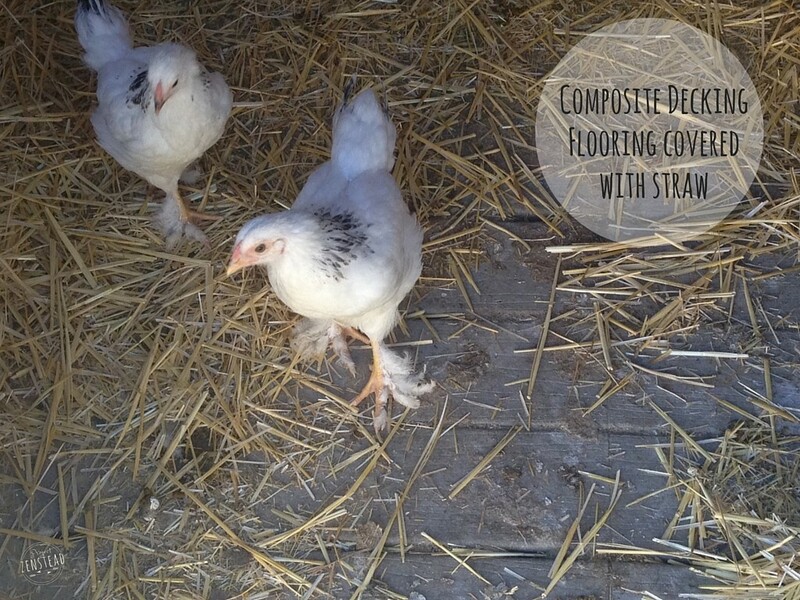 If you can find or salvage composite decking material, I highly suggest it for your chicken coop floor! 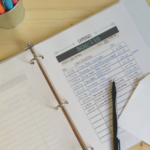 I love hearing about the little details that people incorporate into their own coops! 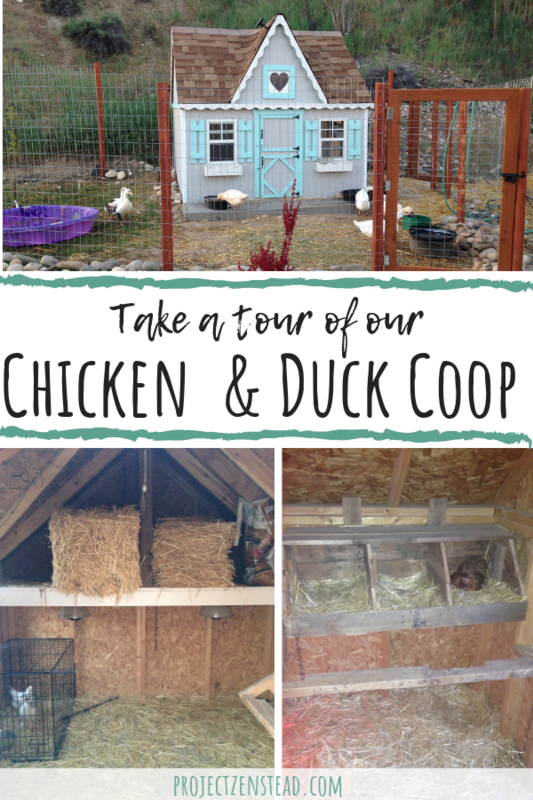 I would love to hear what fun and functional features you have incorporated into your own chicken coops and duck houses! Share your best chicken coop ideas and hacks in the comments below so we can all enjoy!